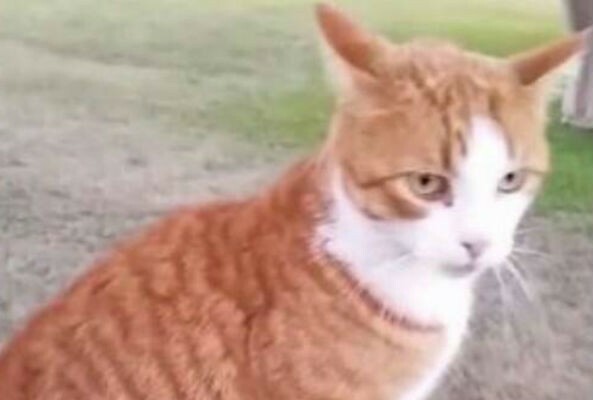 Remember the awful Texas veterinarian who killed a cat with a bow and arrow? Well, it looks like she might finally lose her license. The Texas Board of Veterinary Medical Examiners (TVMEB) has moved to revoke the license of Dr. Kristen Lindsey, who boasted on Facebook how she murdered a tabbycat named Tiger with a bow and arrow last April. At the time, Lindsey was subsequently fired from her position at the Washington Animal Clinic, while the Texas Veterinary Medical Association and Colorado State University, where Lindsey earned her doctorate, condemned her horrific actions. Animal activists demanded justice for Tiger and tens of thousands of people signed petitions asking for the veterinarian’s license to be revoked. This week, Tiger’s supporters finally received the news they were waiting to hear when TVMEB voted to revoke Lindsey’s veterinary license. Tiger’s Justice Team News Page hailed it as “A VICTORY FOR TIGER!” on its Facebook page. However, the battle for Tiger’s justice is far from over. The Dodo reports that the board will argue the case before an administrative law judge to get Lindsey’s license to practice permanently removed. According to Chron, the hearing may not take place until February. Afterwards, the judge will have 60 days to make a recommendation, which means that the matter may not be resolved until the board’s meeting in April — one year after Tiger’s awful demise. As we said earlier this year, we hope that justice prevails for this poor cat, and that Lindsey is never allowed to treat another animal ever again. Are you people such social outcasts that you care more for animals than humans? How has our society become so weak and fragile? It’s from coddling people at a young age. This no losers, trophies for everyone liberal mentality is turning kids into weak pathetic adults..
What in this article speaks about caring more for animals than humans? Careful not to feed the trolls. Only a weak, pathetic adult would find cruelty acceptable. Ethics and morality have nothing to do with liberal mentality. She should never, ever be allowed to even work with animals, or children, ever again, or to own an animal. She is evil.